The existence of the United States has been threatened once in its history, by the American Civil War, or "the War between the States" as it is sometimes called. The war was fought between the North, or the Forces of the Union, and the South, known as the Confederates. It left a million men dead on both sides and the South largely in ruins after the Union Forces finally emerged victorious. 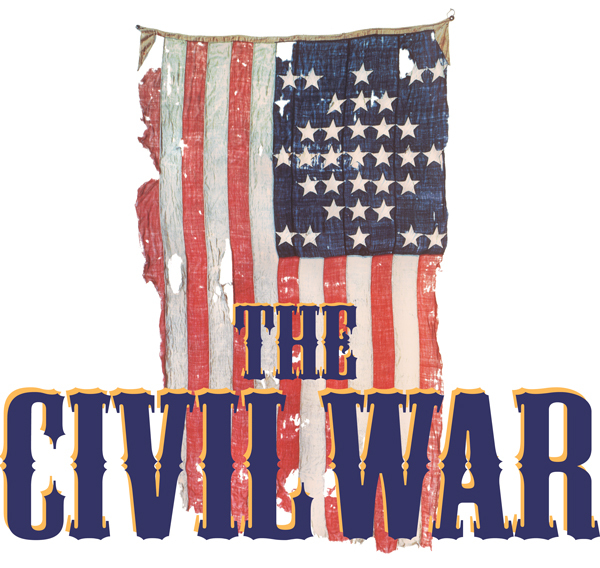 In the spring of 1861, decades of simmering tensions between the northern and southern United States over issues including states’ rights versus federal authority, westward expansion and slavery exploded into the American Civil War (1861-65). The election of the anti-slavery Republican Abraham Lincoln as president in 1860 caused seven southern states to secede from the Union to form the Confederate States of America; four more joined them after the first shots of the Civil War were fired. Four years of brutal conflict were marked by historic battles at Bull Run (Manassas), Antietam, Chancellorsville, Gettysburg and Vicksburg, among others. The War Between the States, as the Civil War was also known, pitted neighbor against neighbor and in some cases, brother against brother. By the time it ended in Confederate surrender in 1865, the Civil War proved to be the costliest war ever fought on American soil, with some 620,000 of 2.4 million soldiers killed, millions more injured and the population and territory of the South devastated. There were many causes for the Civil War, but the principal one was slavery. The Abolitionists of the North demanded the complete elimination of slavery. The South, largely an agrarian society whose chief crop was cotton, used slaves as its source of cheap labour. They preferred to secede from the United States and set up their own government rather than to see an end to slavery. The Civil War began in 1861 and ended four years later in 1865. 1860: Abraham Lincoln, the Abolitionist candidate, is narrowly elected President. Late the same year, the first Southern States secede (si'si:d) from the Union. 1861: The Southern pro-slavery States form the Confederate States of America. Jefferson Davis is elected President of the Confederacy. The first major battle of the war is fought in July at Bull Run, and is won by the South. 1863: President Lincoln issues the Emancipation Proclamation, declaring that all slaves in the United States are now free. In November, he gives the Gettysburg Address, perhaps the most famous speech by an American President. He declares that"… government of the people, by the people, and for the people shall not perish from the earth". 1864: The Southern city of Atlanta is captured by Union troops under General Sherman. This historic moment is portrayed in the film Gone With the Wind. 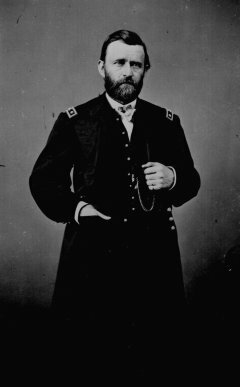 General Sherman then makes his famous "March to the Sea", destroying everything in his path. This campaign breaks the morale of the South. In November Lincoln is re-elected President. 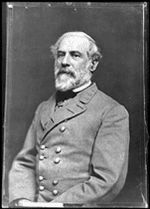 1865: The Civil War ends with the surrender of Confederate General Robert E. Lee to Union General U.S. Grant at Appomatox, Virginia. Five days later President Lincoln is assassinated in Washington while watching a play. His murderer, John Wilkes Booth, like many, held Lincoln responsible for the fall of the South. The Civil War was particularly tragic for America, which had not yet survived its first century. Passions ran extremely high. Brother fought against brother, father against son. Battles were notoriously ferocious and bloody. Destruction was widespread. But the victory of the Federal Forces helped to reaffirm the country's commitment to a single union under one national government. Today, more than one hundred years after the Civil War, the North and the South are still divided by some of the same issues that existed during the war. Racism is generally perceived to be more deep-rooted in the South, which is poorer and more conservative than the industrialised North. Many white Southerners are still proud of their confederate past and the legends of their rebel war heroes. A date to remember is also December 18th 1865 when the Thirteenth Amendment, abolishing slavery, becomes a part of the U.S. Constitution.